The sensor system that is used most often is the reverse car parking. This system is automatically activated when you reverse gears. 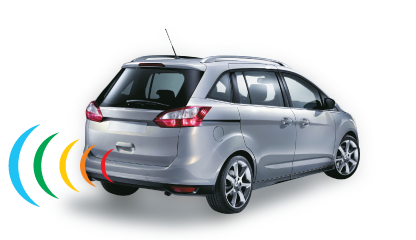 Small sensors are located at the rear of the car which send and receive ultrasonic radio waves in the event of an approaching obstacle. There is an internal buzzer that gradually increases in frequency as you approach the object and displays the distance on the LCD screen.